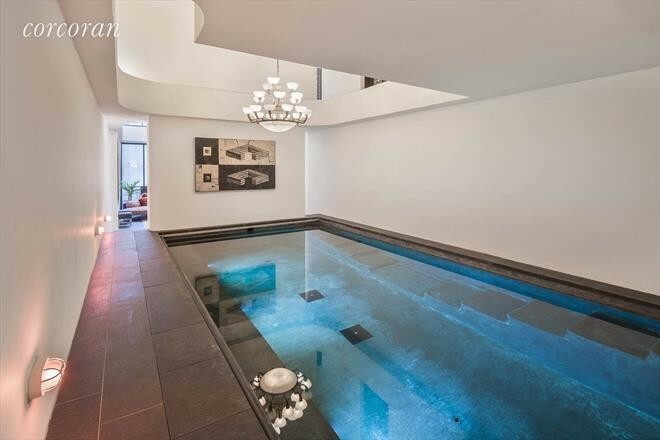 At 357 West 17th St., a five bedroom, 12-bath house (asking price: $36.8 million) has a cellar-level gym with a glass-walled steam/sauna cabinet overlooking the indoor pool. Putting on a swimsuit and working on your backstroke doesn’t have to be a strictly summertime activity if your apartment or house has its own indoor pool. 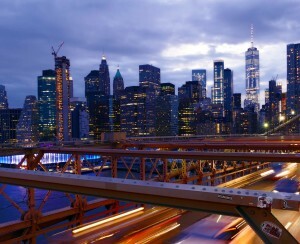 Here are five New York City apartments with private swimming pool access that fit the bill. Warning: though it almost goes without saying, they'll cost you. 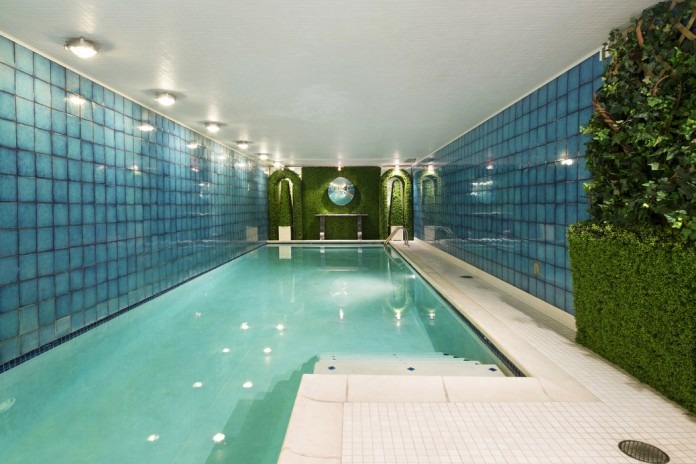 In an odd real estate quirk that could only happen in New York, the five-foot deep private pool that comes with this 10-room townhouse at 49 East 67th St. on the Upper East side, listed at $22 million, is actually located in the co-op next door. The downside: potential buyers will have to pass the co-op board. 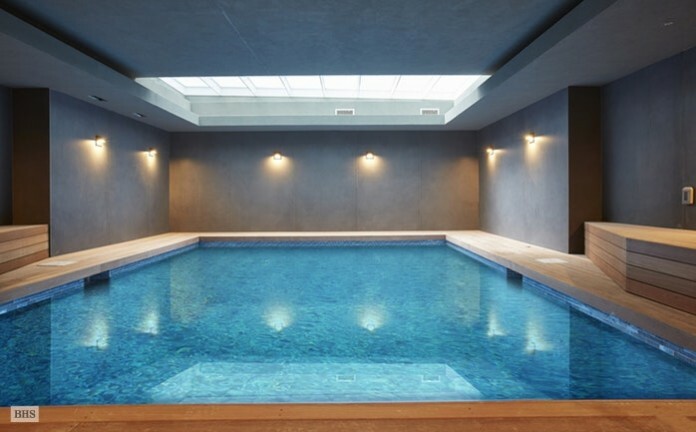 The ground floor of this former carriage house at 23 Cornelia St. in the West Village includes a 30x15-foot indoor pool lit by a chandelier hung from the double-height ceiling. It's on the market for $19.995 million. 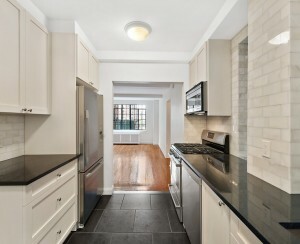 On the basement level of this 25-foot-wide townhouse at 109 Waverly Pl. in the West Village is this glass-enclosed, sky-lit lap pool. 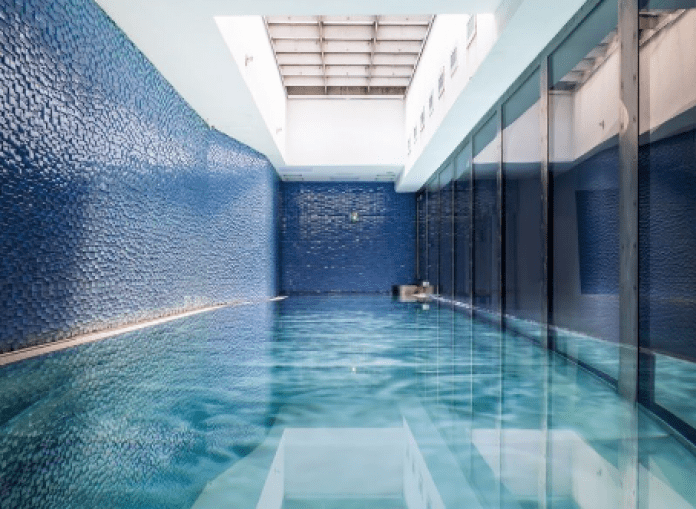 The same floor also houses the home gym and steam room for a full-on home-spa experience. It's yours for $28 million. Finally, this newly built townhouse at 253 West 18th St. in Chelsea, priced at $19.995 million, has a 20x20-foot, sky-lit pool on its lower level. An adjacent laundry room makes dealing with the towels post-pool parties a cinch.